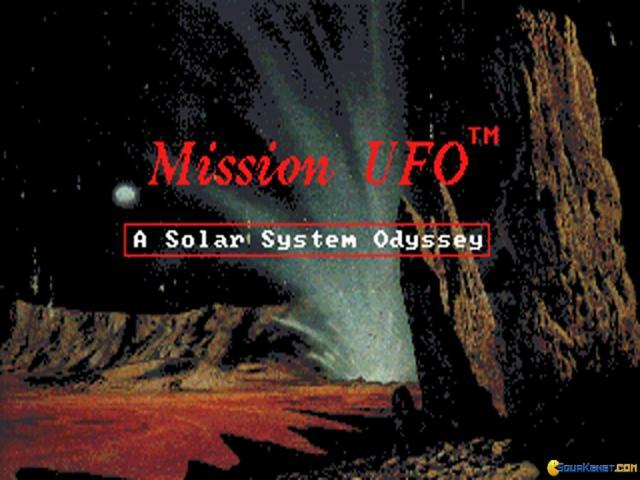 Younger gamers with an interest in the stars might be attracted to this edutainment title and while it is often a good idea to get kids interested in learning through playing, Mission UFO is unfortunately a bit too simplistic and outdated to provide much in the way of educational content. 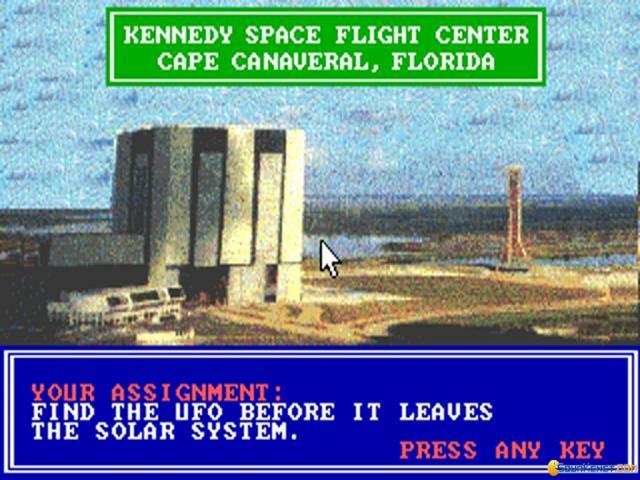 The game sets up its premise in an interesting fashion, as Cape Canaveral reports a sighting of a UFO that is less quickly lost. 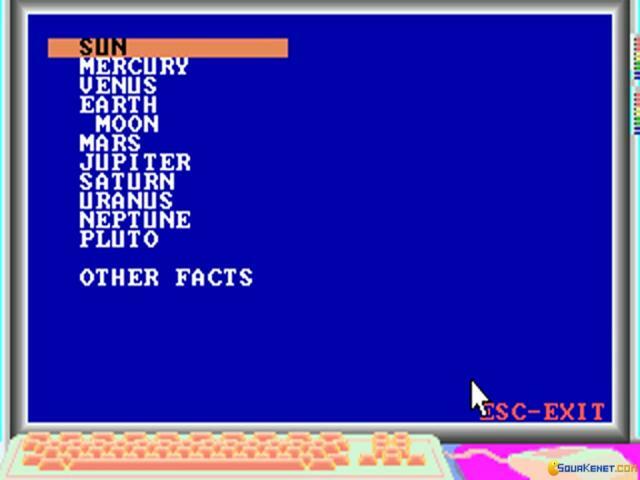 It's the player's task to track it down by following the clues and hints, hunting it from planet to planet and using the included database to narrow down the search. If you guess incorrectly about your next destination, you waste valuable and limited fuel supplies and run the risk of failing your mission. 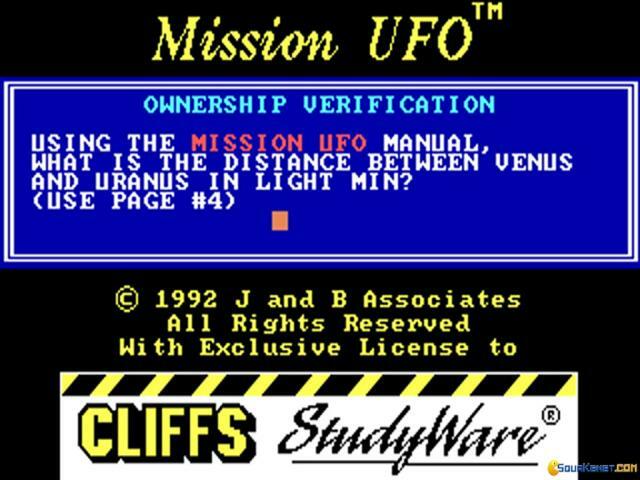 If you can successful locate the UFO you then get the chance to be the first person to interact with an alien race and learn a few random facts about their home planet, as well as being promoted to head of NASA. 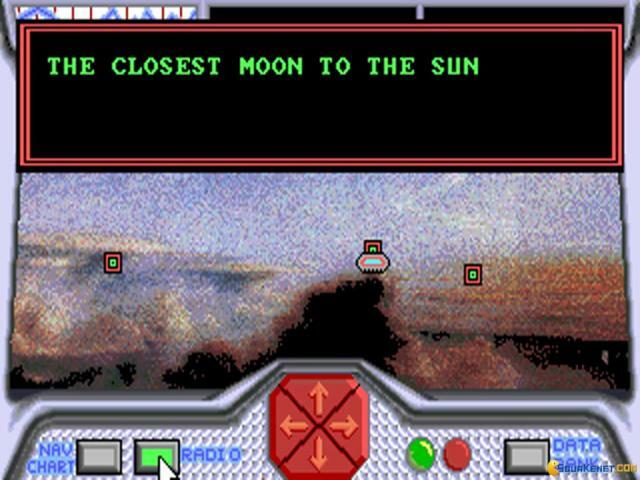 Mission UFO is fairly simple stuff, but should appeal to followers of Carmen Sandiego, Headline Harry and Eagle Eye Mysteries, with its similar mix of basic questing and fact checking. 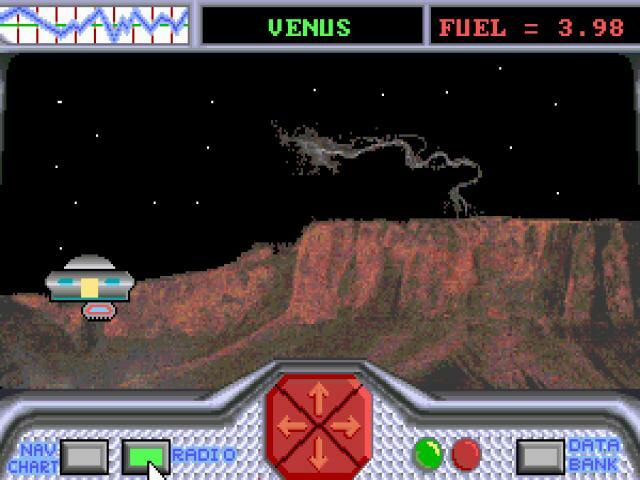 Visually, the game is fairly decent, with some nicely atmospheric if unspectacular renditions of the various planets, although sound is restricted to some very crude effects which are best turned off. 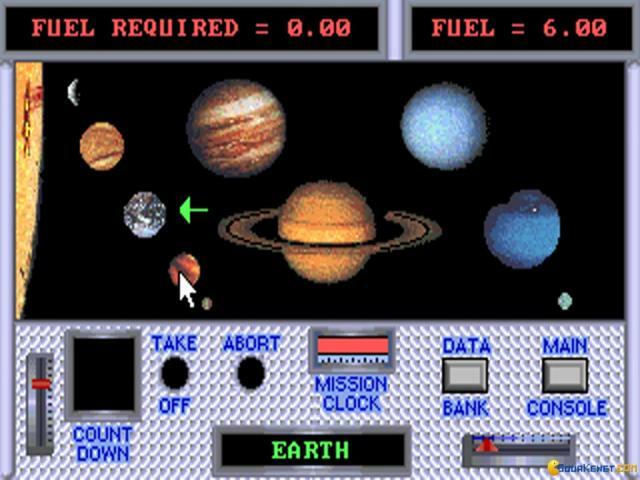 Gameplay isn't exactly complex and simply requires players to click on the various icons to access the information you require and to carry out the various actions. 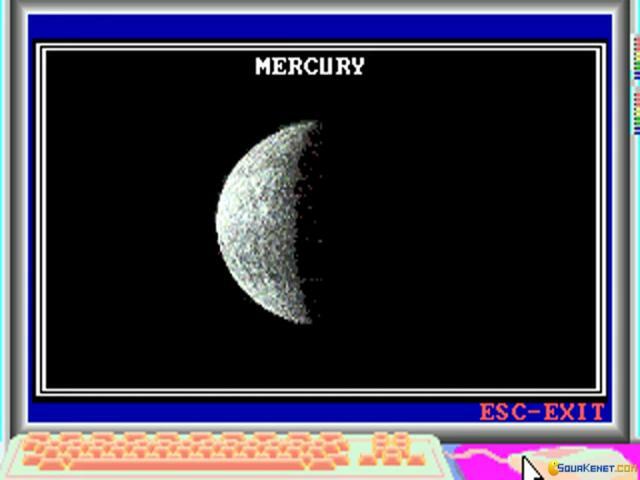 However, for the right audience this is sure to prove entertaining enough so if you have some young ones keen to investigate space, then check this out to keep them quiet for a brief time.